Welcome to Begbies Traynor Stockport. We are a group of licensed Insolvency Practitioners and a leading provider of advice and services relating to company rescue and closure options in the UK. 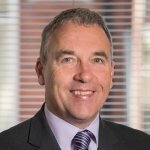 The Stockport office of Begbies Traynor is led by Paul Stanley, our regional managing partner, who has a wealth of experience in helping companies and their directors from across a broad range of industry sectors. Paul’s team in Stockport can provide advice on a variety of subjects including liquidation, company voluntary arrangements (CVAs), receivership and administration. Our Stockport office forms part of a nationwide network that brings together the expertise and insight of hundreds of highly-skilled insolvency practitioners. So whatever the particular financial challenges you’re facing as a company director, we at Begbies Traynor can help by providing you with clear guidance and actionable advice. In addition to our office in Stockport, there are Begbies Traynor bases in Liverpool, Preston, Chester, and Blackpool, as well as our head office in central Manchester. So wherever you are in the North West, there is a Begbies Traynor office nearby. Contact us directly to arrange a consultation and to find out how we can help you.